100 days to the wedding. A heroine, in the midst of the happiest time of her life, suddenly faces the reality that she has a brain tumor, and her mother who is supposed to be dead suddenly turns up. Even though the daughter gets frustrated by her mother's unconventional attitude at first, the mother gradually becomes her hope to live. This heartwarming human drama explores the story of a kindhearted daughter and her unconventional mother. Hitomi was raised by her father, Kensuke, who runs a sushi restaurant in Tsukiji. 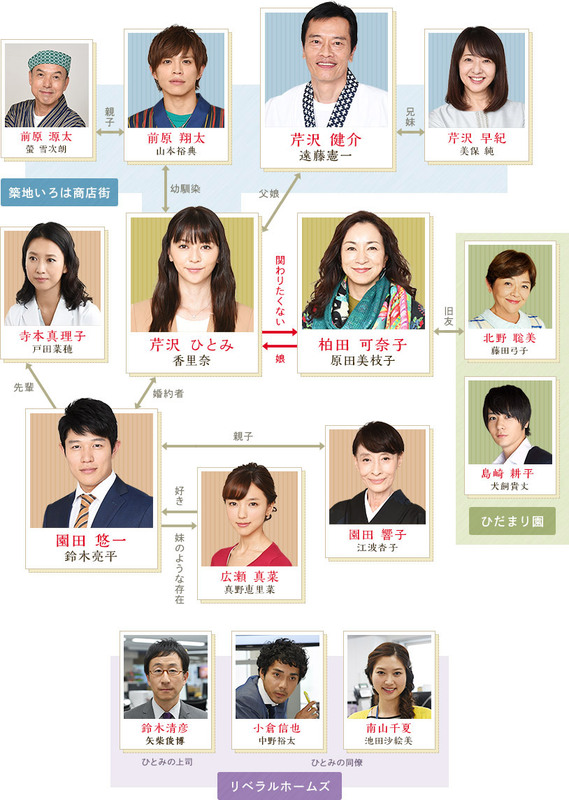 She becomes a project leader at the real estate company she works for, and is also engaged to a doctor, Yuichi (Ryohei Suzuki), whom she will marry in 100 days. One day, however, the doctors find a brain tumor after a medical check-up. While she is struggling to accept the diagnosis, her mother, Kanako (Mieko Harada), who is supposed to have died 28 years ago, suddenly shows up out of the blue. 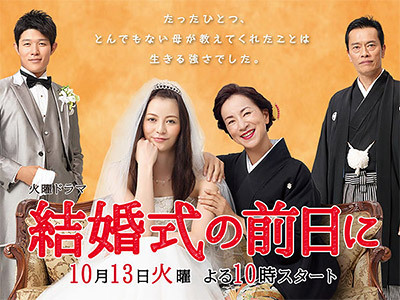 Kanako says that she couldn't help coming back to see her daughter getting married. Hitomi, on the other hand, feels resentment at how self-centred her mother is. If you've never seen a drama with the "serious illness" scenario watch this one and you'll never need to watch one again. It had every cliche, every stereotype. Had they spent as much time writing a believable story as they did on the collage shown in the last episode they might have come up with something good. Falls short on evoking enough emotion or feeling.